“There’s no people like show people, they smile when they are low.” But there’s no reason for you to feel low—even in these turbulent economic times. If your production budget is currently straining under the weight of large scale shows, you can still present the high quality entertainment—full of the first rate words and music, humor and pathos—that your audiences expect. How? 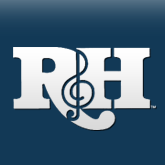 By selecting one of the many smaller, less-costly-to-produce, audience-pleasing musicals available for licensing from R&H Theatricals. Let’s start with I LOVE YOU, YOU’RE PERFECT, NOW CHANGE! This 4 actor/2 musician show is the longest-running off-Broadway musical revue in New York theatre history having closed in 2008 following a recording breaking 12-year run. This phenomenal success proves that as long as we poor mortals play the age old mating game I LOVE YOU, YOU’RE PERFECT… will continue to be an audience favorite. Written by Joe DiPietro and Jimmy Roberts, I LOVE YOU, YOU’RE PERFECT… has been produced around the world in countless foreign languages. Here in the U.S. it has played in cities across the country including runs of more than four years at the Denver Center and more than three years at Theatre Three in Dallas. Many theatres, due to popular demand, have brought the show back time after time including four engagements at the Actors Playhouse in Miami and three at the Horizon Theatre in Atlanta, to name just a few. Isn’t it time you looked at I LOVE YOU, YOU’RE PERECT, NOW CHANGE? And while looking at shows by DiPietro and Roberts consider THE THING ABOUT MEN. This 5 actor/4 musician whimsical farce traces the extramarital escapades of Tom and Lucy and her lover, Sebastian. Mixups and mayhem abound in this tuneful romp resulting in belly laughs, poignancy and of course—a happy ending. MEN not only provides three tour-de-force performance opportunities for the main characters, there are equal chances to shine for a actor and an actress who play all the other roles. One of R&H Theatricals’ most recent and popular acquisitions is MID-LIFE! THE CRISIS MUSICAL. Following its 18-month premiere production at Chanhassen Dinner Theatres, MID-LIFE! has been seen on stages from coast to coast. Six actors and one piano player will take your audiences on the comedic ride of their lives. No aspect of middle age is safe from the lampooning eye of MID-LIFE! “Classical Menopause,” “What Did I Come In Here For?,” “He Got What He Deserved,” “Turning Forty,” and “Biological Clock” are just a few of the songs and skits that show us what’s in store (or remind us where we’ve been) while sending us into riotous laughter. MID-LIFE! THE CRISIS MUSICAL fits the bill on many levels in these hard times. It’s a fool-proof, critic- and audience-pleaser that will generate fantastic word-of-mouth and rapturous reviews, sure to keep your theatre filled. Of course, if you want to treat your audiences to the grand songs of Rodgers & Hammerstein, Rodgers & Hart or Irving Berlin, but aren’t able to produce one of their full-length classics, consider one of several stellar revues that feature their grand songs. A GRAND NIGHT FOR SINGING, the Tony-nominated Broadway musical revue, and SOME ENCHANTED EVENING are two revues that feature the timeless songs of Rodgers and Hammerstein, Broadway’s greatest theatrical writing team. BEGUILED AGAIN and RODGERS & HART: A CELEBRATION are sparkling revues full of all the wit, humor and emotion that characterize the team of Rodgers and Hart. Then there are THE MELODY LINGERS ON, AS THOUSANDS CHEER and I LOVE A PIANO—a trio of revues that showcase the 20th century’s greatest writer of popular songs, Irving Berlin. Jazzy, poignant and charming—there’s no mood Berlin couldn’t evoke in song. Your audiences will love the chance to experience the songs of these gifted writers in a different context and with a creative and unique point of view. 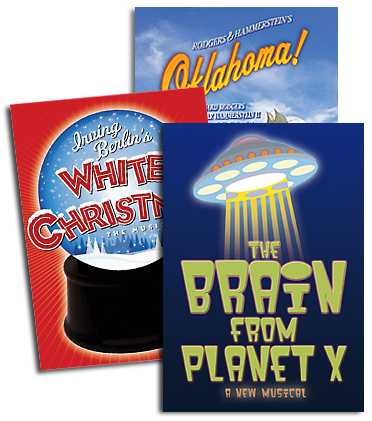 Times may be hard but R&H Theatricals has musicals that provide big entertainment on a manageable scale. And we're here to help, so give us a call or browse through the show pages on our website.